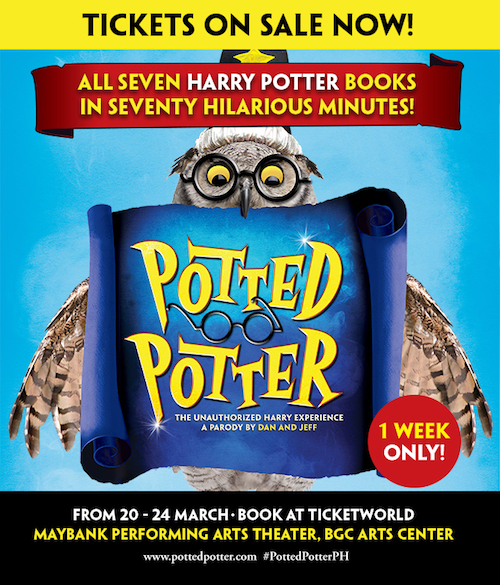 ‘Potted Potter’, the play created by Daniel Clarkson and Jefferson Turner, comes back to Manila for a limited run this March. The show takes on the ultimate challenge of condensing all seven Harry Potter books (and a real-life game of Quidditch) into seventy hilarious minutes. The comedy features the characters from the books, a special appearance from a fire-breathing dragon, endless costumes, brilliant songs, ridiculous props and a generous helping of Hogwarts magic. Apart from catering to Potterheads, the play is also a great introduction to the series. The show is family entertainment that is good for all ages. The production had an initial run at the Carlos P. Romulo Auditorium of the RCBC Plaza in 2012, returning in 2013 and 2014 at the same venue. 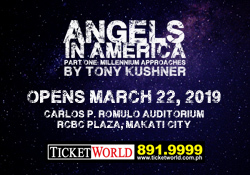 This time, the show comes back for 9 shows only, from March 20-24, at the Maybank Performing Arts Theater, BGC Arts Center. Clarkson and Turner first created ‘Potted Potter’ in 2005 for an appearance at a London bookshop, as a five-minute entertainment for fans awaiting the release of the sixth book in the series. From there, the show grew into a full-length stage production, first seen at the Edinburgh Fringe Festival 2006, and has since toured internationally for over a decade, securing an Olivier Award nomination as Best Entertainment and Family Show. All four Potted shows (Potted Panto, Potted Sherlock, Potted Pirates and Potted Potter) have earned a fan base that crosses generations. ‘Potted Potter’ has played 30 weeks off-Broadway across two sold-out seasons, as well as five West End runs, and multiple North American and Australasian tours. The show is also returning to Australia, following two previous sold-out tours in 2012 and 2014. 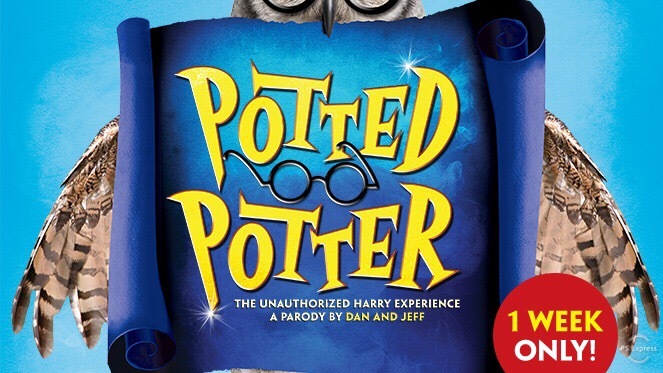 ‘Potted Potter’ is directed by Richard Hurst, with set design by Simon Scullion, lighting design by Tim Mascall, and music composed by Phil Innes. This run is produced by Lunchbox Theatrical Productions and Potted Productions.